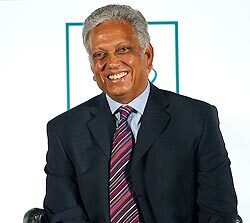 From calling the selectors "a bunch of jokers" to being named as the new selector, life has come a full circle for Mohinder Amarnath. The former India all-rounder will replace Yashpal Sharma in the national selection committee in the only change to the panel. The official announcement will be made on Monday when the Board of Control for Cricket in India will announce the new office bearers and appointments to the various sub committees for the year 2011-12. Barring Sharma, who completed his tenure of four years, there is no other change in the selection panel. Krishnamachari Srikkanth will have his term extended for another year, for his fourth and final year, while the rest of the committee including Narendra Hirwani (Central Zone), Raja Venkat (East) and Surendra Bhave (West) will also be retained. The selectors came under a lot of flak after India's disastrous showing on their tour of England, where they were whitewashed 4-0 in the Tests, while also failing to win a single ODI match or the one-off T20 game. The selectors invited a lot of criticism after a few top players pulled out mid-way through the tour due to injuries. Amarnath featured in 69 Tests and 85 ODIs for India in a career spanning 20 years and played a key role in India's 1983 World Cup victory. Interestingly, he had once called the selectors "a bunch of jokers" after being axed from the Indian team. Amarnath will have to give up his role in the Indian Premier League Governing Council where he will be replaced by Karnataka's legendary batsman Gundappa Viswanath. Amitabh Chaudhary, Jharkhand Cricket president, is another new entry in the IPL Governing Council, to replace Anurag Thakur, who will become the joint secretary. The Indian Premier League will also have a new chairman in Rajiv Shukla.